As they say,''LOCATION-LOCATION-LOCATION!'' 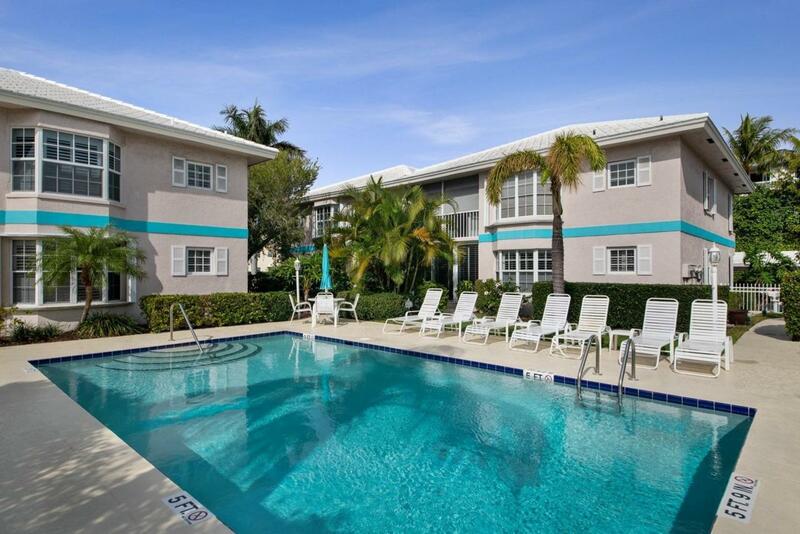 Welcome to this picture perfect, updated condo in a well cared for boutique building in East Delray! Park your car, walk or bike everywhere! Also, just a short stroll to the beautiful Atlantic and the magnificent downtown area of Delray Beach! This open floor plan, 2 bedroom 2 bath unit has been beautifully updated with hurricane impact windows, crown molding throughout, new kitchen with shaker cabinets, granite countertops, stainless steel high end appliances, tile on the diagonal throughout the unit, updated bathrooms and plantation shutters throughout. The Heart of the Home, the kitchen, is stunning! Recessed lighting, high end appliances including an induction range. White Shaker cabinets that have plenty of storage, tiled backsplash.The kitchen is open the the living area making entertaining very comfortable! Soothing color adorns the Master bedroom as it welcomes you to a comforting oasis! A great walk in closet, new walk in shower feature. Shaker cabinet with granite counter top has his and her sinks. Plenty of lighting finishes off this comforting space! Second bedroom has plenty of outside light from the windows, good size closet. Second bathroom has shaker cabinet that feature a single sink with granite counter tops, new mirror and lighting. The open living dining area flows outside through the full slider or from the French doors, from the kitchen, to the screened balcony that over looks the community pool. There are 3 extra closet spaces in this unit for storage. The outside area is well maintained with natural plantings and beautiful native flowers. There are 2 parking spaces for this unit. One is covered one is an open space. Roof was replaced just a few years ago as was the driveways in the community. This condo is move in ready. Don't miss out on this East Delray beauty!